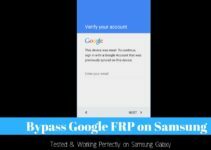 In this article, we are going to talk about Samsung bypass google verify apk. 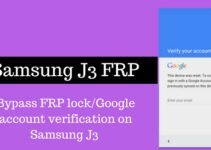 So you will get to know how to bypass samsung google factory reset frp verification. You might know about factory reset option as it comes built in every android device. Similarly there is a security feature known as Factory reset protection. Google brought this feature to all the latest android devices to increase security. Also factory reset protection feature will help in protecting personal/private data. Lets say your android device gets stolen or you have lost your phone somewhere. If somebody tries to factory reset your android phone and restarts it. Then then need to do google account verification to access smartphone. So if they don’t know google account username and password, then he/she won’t be able to access device. So your personal/private data will be kept safe and secured. But what will you do if you factory reset your smartphone and forgot the google password. You won’t be able to access your android device. So if you are facing similar situation, then you don’t need to worry anymore. Because today we are brining an easy solution for this problem. As many people are facing this issue, so we thought to share the solution here. Because it will be a big problem if you forgot the google account password after factory reset. 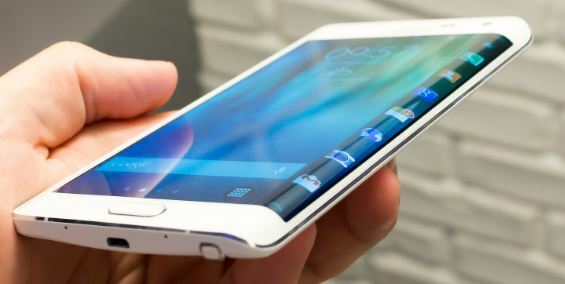 The method we are going to share in this article works perfectly for Samsung devices. So if you are using other android devices, you can try it at your own risk. Before you are going to try out this method, make sure you have three things. You need to have a OTG Cable, a USB drive and a PC as well. Next follow the steps given below to download samsung bypass google verify apk. First you will need to download samsung bypass google verify apk file on your PC. Once the download completes, copy apk file from your PC to USB drive. Now turn on samsung device and follow on screen instructions after factory reset. After completing basic setup wizard, you will get a pop up. Here you will need to enter the previously used google account username and password. Now connect USB to your android device using OTG Cable. Automatically a file explorer will open up. Now in file explorer, find the apk file you copied earlier. Next tap on this apk file. You will get some warning message. Simply go to device security settings and disable unknown sources option. Tap on apk file again and installation process will start. After apk file is installed on your android device, open it. Go to the app and there you will find erase option, tap on it and you are done. So this is how to bypass google verification on samsung devices easily. Now you can restat your samsung device and you won’t face any frp issues anymore. Samsung Bypass Apk compatible with All android devices? No samsung bypass apk is not compatible with all android device. It only works for all Samsung devices. So you can try this apk file on any samsung device without any worries. 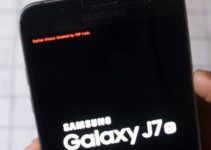 Does Samsung bypass google verify apk works only on samsung devices? As we mentioned above Samsung bypass apk file only works on samsung devices only. So yes, you can try it on samsung devices not other android devices. How much time it will take to bypass FRP using samsung bypass apk? It will take around few minutes to bypass factory reset protection. Make sure you follow all the steps carefully. 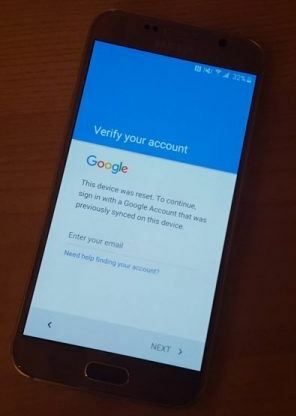 So this was a detailed guide about samsung bypass google verify apk. If you follow all the steps carefully, you will find this tutorial easy and you won’t face frp problem again. Still if you face FRP bypass apk issue while trying the method, let us know in comments.